It’s no secret that most of the organisms humans eat are the result of artificial selection. Indeed, this breeding for specific traits has created beings that would never survive, let alone thrive, without human intervention. Yet even though the creatures that make our food have already been so heavily altered, the 21st century has seen the rise of a more extreme form of modification: the creation of organisms whose genes cross not only species barriers, but also entire kingdoms. Genetically modified organisms (GMOs), beings that are created by incorporating genes from one species into a completely unrelated species through genetic engineering, are increasingly present in the human diet (Phillips). In 2010 alone, the Biotechnology Industry Organization reported that around twenty GMO animals were in the process of being approved by the Food and Drug Administration (Hanson 273). While the benefits that GMOs could offer are appealing, they have also been used to promote shady political and hyper-capitalist practices and could cause potential harm to the ecosystem. With such a new technology that promises to change food as we know it, the uncertainties surrounding GMOs are numerous, with many potential benefits and just as many potential costs. Genetically modified organisms are plants and animals whose cells have been inserted with a gene from an unrelated species in order to take on specific characteristics (Lee). One early example of this genetic crossing is a tomato engineered in 1991 to include a modified gene from an Arctic flounder. 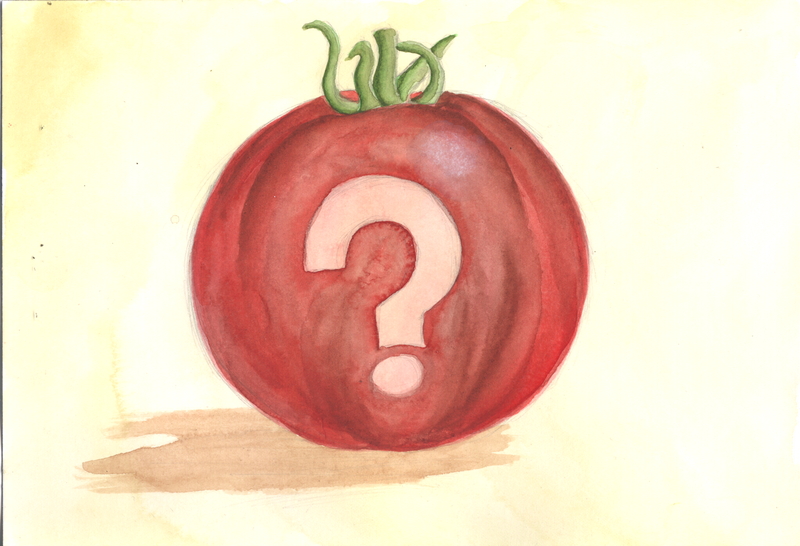 Given the name “fish tomatoes,” it was hoped that these fruits would be more resistant to frost in cold storage (PBS). Although this experiment did not produce the desired result, GMOs have since then become a prevalent part of the U.S. diet. While no genetically modified animal has been approved for sale for human consumption in the United States, about 93% of soy, 88% of field corn, 94% of cotton, and over 90% of canola seed and sugar beets planted in the U.S. in 2012 were GMOs (Lee). Much of this engineering was done to either increase crop yields or to make the plants more resistant to pests and disease (Phillips). The potential benefits of many GMOs are promising; the proposed Enviropig, for example, has a digestive system that would reduce phosphorus levels in the piles of pig waste generated in feedlots (Hanson 274). As phosphorus is one of the elements that make manure toxic when it leaches into water sources, this could be a huge relief to waterways chocked and poisoned by feedlot runoff. The first Enviropig was born in 1999, but after the scientists who designed the hogs lost their funding in 2012, all Enviropigs had to be killed (Anthes). Scientists at Cambridge University and Scotland’s Roslin Institute—the facility that created Dolly, the cloned sheep, back in 1996—have also been working to genetically engineer chickens that are resistant to bird flu (Anthes). In addition, researchers at the University of California, Davis, have developed goats whose modified milk could be used to treat and prevent childhood diarrhea. They have moved much of their operation to Brazil, where they do not have to face as many regulations as in the U.S. (Anthes). Even with all these benefits, the dangers GMOs present are uncertain and ominous. The Massachusetts-based company AquaBounty’s GE salmon that grow twice as fast as conventionally farmed salmon, for example, could spell disaster for wild fish populations (Hanson 276). According to Professor William Muir, the director of the Purdue University High Definition Genomics Center, “Transgenic fish are typically larger than the native stock, and that can confer an advantage in attracting mates…If, as in our experiments, the genetic change also reduces the offspring’s ability to survive, a transgenic animal could bring a wild population to extinction in 40 generations” (Purdue News). There has also been much controversy over the fact that The FDA has not developed transparent policies that require food manufacturers to list if their product was made with GMOs. Most disturbingly, GMOs have been used to promote incredibly damaging agricultural practices. In 2008, to give an infamous example, thousands of Indian farmers committed suicides after their GMO crops failed. They had not only lost their crops but were also pushed heavily into debt, as GM seeds cost £10 for 100 grams, compared with less than £10 for 1,000 times more traditional seeds. Traditional varieties, however, were banned from many government seed banks in a bid to promote the uptake of GM seeds (Malone). Farmers usually save the seeds of traditional crops and replant them the following year if a harvest failed. Many GM seeds, however, contain the so-called “terminator technology,” meaning that they have been modified so that the resulting crop does not produce viable seeds. As such, farmers have to buy new seeds every year at the same exorbitant prices. Many could not do this, and were either driven into desperate poverty or took their own lives. Given how recent this technology is, it is very difficult to tell whether the introduction of GMOs into the world’s food supply was for the best or not. Certain benefits of GMOs cannot be ignored, but neither can the environmental risks and damaging political or hyper-capitalist agendas that promote GMOs. Every application does need to be painstakingly evaluated, and not every modified animal or plant should be approved (Anthes). In the end, however, what we get from GMOs may depend not so much on what the organism in question is, but for whose benefit it was made.